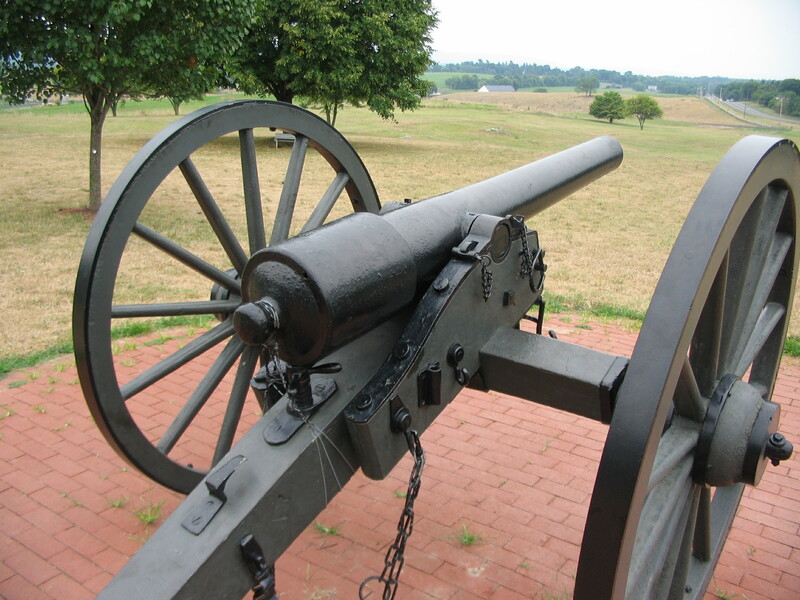 One of the easiest types of Civil War artillery to identify is certainly the Parrott Rifle. There were Army and Navy models. 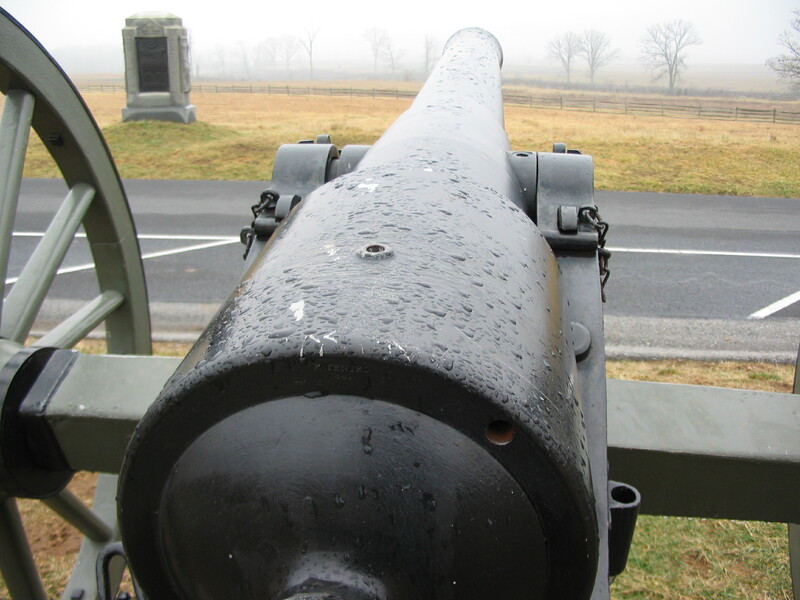 Calibers ranged from 2.9-inch field guns to 10-inch siege, seacoast, and naval types. Did not matter, as all had a distinctive reinforcing band on the breech. While there were slight variances between year models and calibers, by and large the Parrotts were one of the few uniform “series” of gun tubes produced during the war. 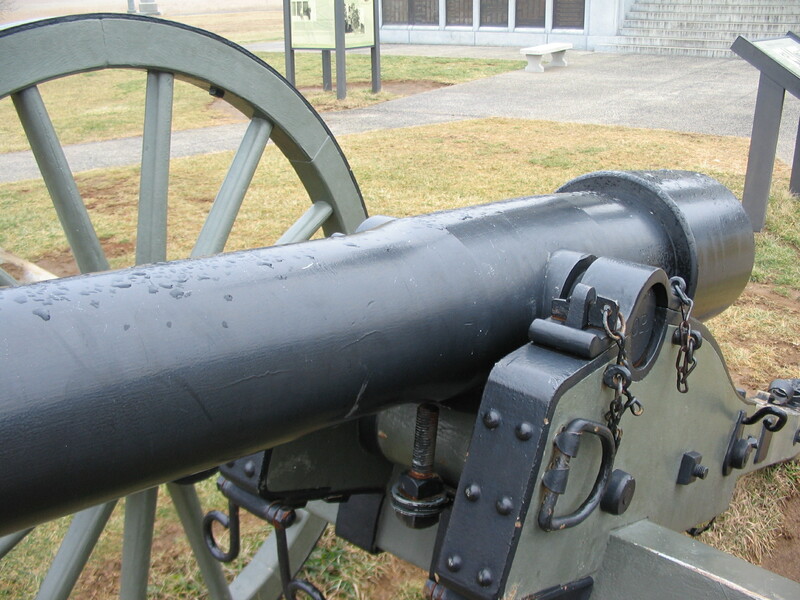 The caliber most often encountered today is the “10-pounder” class field gun. 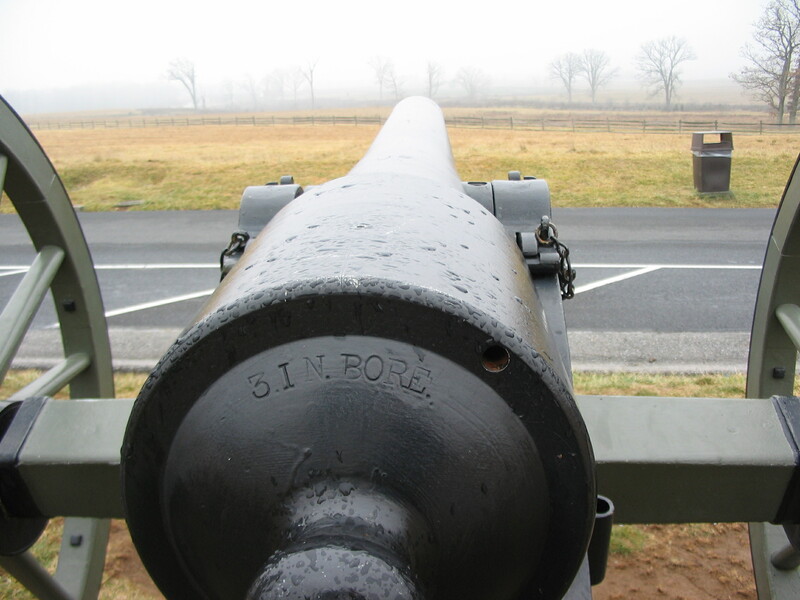 I say 10-pounder, but it came in two different calibers – 2.9-inch and 3-inch. These two calibers actually represent two different versions of the Parrott rifle, with the later being an evolutionary improvement of the design. Some references describe the former as “10-pdr, 2.9-inch, Parrott Rifle, Model 1861,” and the later as “3-inch Parrott Rifle, Model 1863.” As I’ve yet to see any official documents with the year mark, and the Ordnance manuals don’t indicate a pattern specific to the years, the “model” year seems more arbitrary than actual. I prefer to call the first model “10-pounder Parrott” and the second “3-inch Parrott.” Mostly as those are the designations actually stamped on the guns. What’s the deal about a single tenth of an inch? It has to do with logistics, the heat of battle, and the chance someone would stuff a 3-inch shell where a 2.9-inch shell was needed. That single tenth of an inch means the difference between a functioning cannon and half ton of scrap metal! The reason for the difference in caliber lies with the story of the gun’s history. 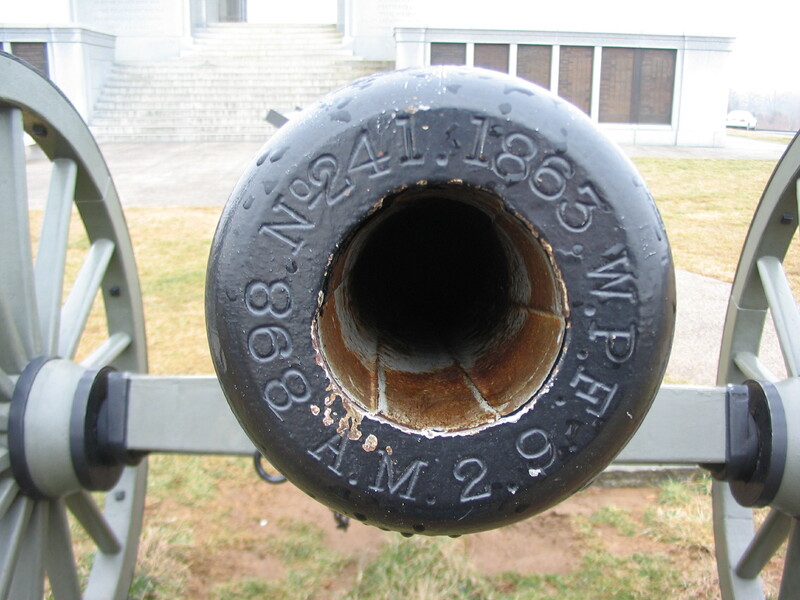 Robert Parker Parrott, superintendent of the West Point Foundry, first experimented with rifled cannon in the 1850s. Parrott, like everyone else, knew rifled guns produced more pressure in the gun bore. The problem was how to counter that pressure, yet keep the gun light enough for field use. Several designers had already determined placing a band on the breech would help. The real genius of the Parrott design lay with how the band was attached to the gun tube. 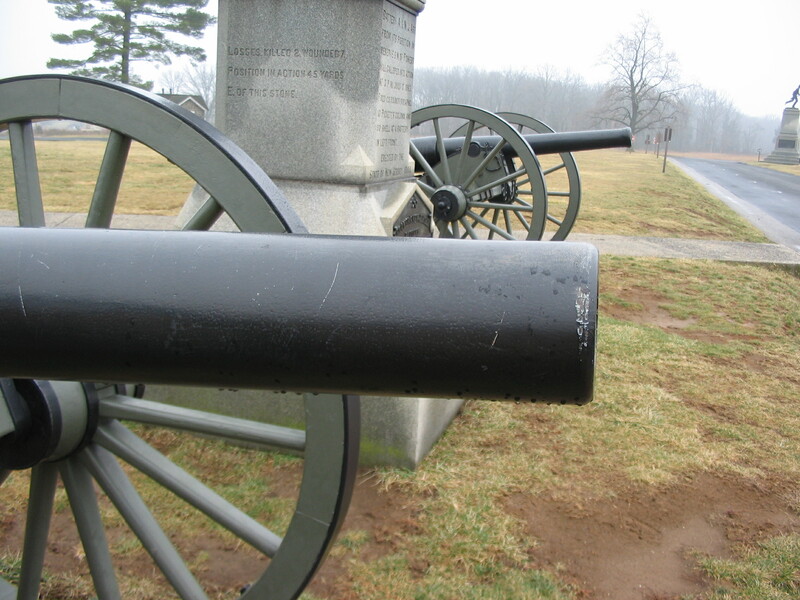 Parrott guns were cast iron tubes with a wrought iron band. 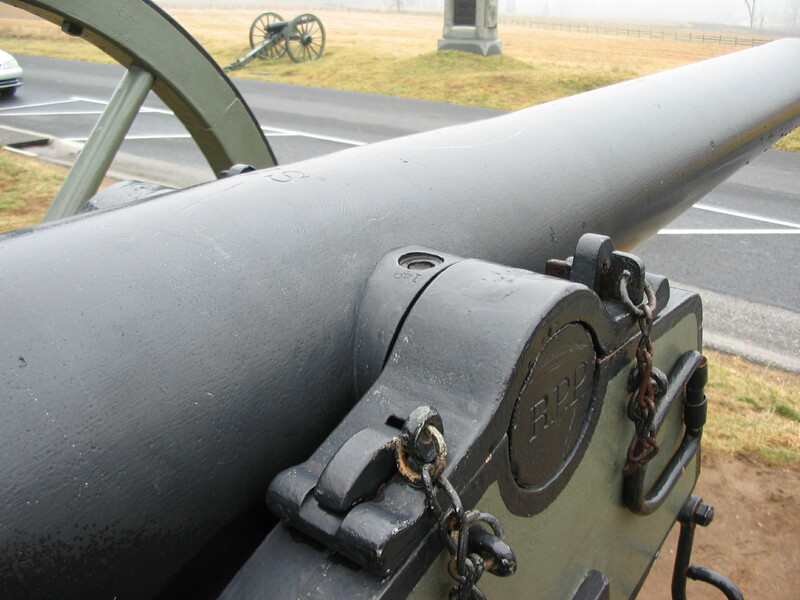 Other designs called for a heated band to be slipped onto a stationary gun tube. 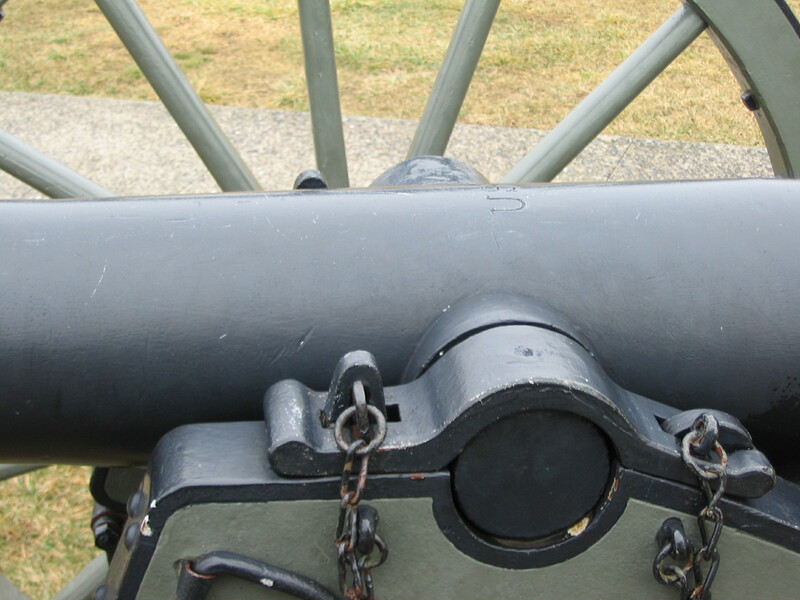 Parrott’s design used a wrought iron band (formed around a mandrel) to be slipped onto a turning gun tube, which was cooled by water injected to the bore. Simply put, the strength of the band lay with the even cooling where the hot band was not allowed to sag over one spot. By 1860, the design was perfected enough to sell a handful to the State of Virginia. Of course business really took off in 1861. The Parrott rifle was easy to produce and unlike other early rifles, stood up well in the field. Only later did the Parrotts fall into disfavor due to a tendency to burst. Otherwise, the Parrotts served well. Apparently Robert Parrott chose the bore diameter of 2.9 inches between the lands in the rifling based on the old artillery system. Under the standard smoothbore calibers, a “3-pounder” bore was 2.913 inches (see the well worn “A Treatise of Artillery” by John Muller). Since Parrott developed a special set of projectiles for his guns, this all seemed fine. However, other inventors were not so constrained by traditions when determining gun calibers. The rounded 3 inch dimension was selected by most other gun and projectile manufacturers, notably for the 3-inch Ordnance Rifle. In the day of modern (or semi-modern) machining, it just made sense to use a round number I guess. 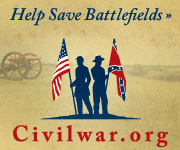 At any rate, this issue came to a head about the middle of 1863. The Ordnance department opted to simplify supply of the field armies, and ordered all 2.9-inch Parrott field guns to be replaced by either new production 3-inch rifles (either Ordnance or Parrott types) or by re-machined 2.9-inch Parrotts. As discussed in a previous post, the first batch of these new 3-inch Parrotts rolled out in late 1863. Full production deliveries were made in early 1864. Besides the change in caliber, the “new” Parrotts had some subtle design changes, basically improvements or refinements of the base design. Those refinements are best seen when compared side by side. 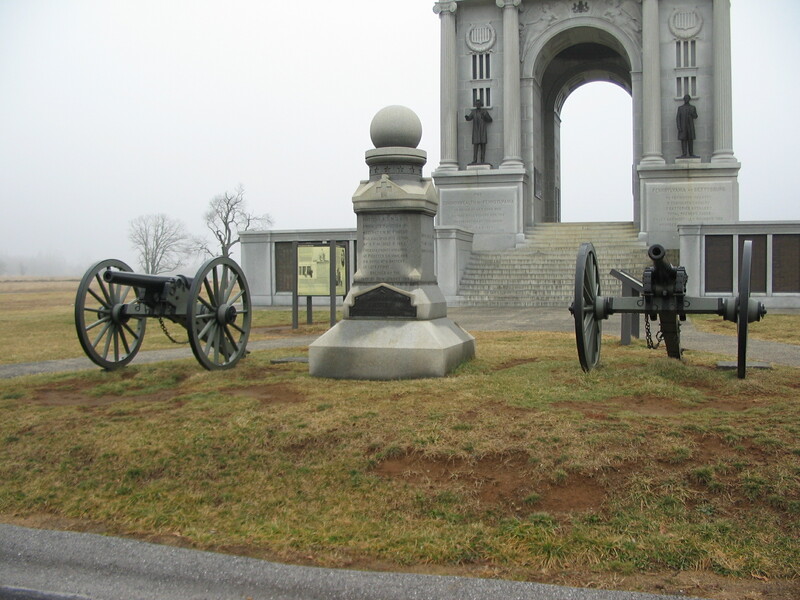 One good spot for just that is just in front of the Pennsylvania Memorial at Gettysburg where two Parrotts flank the Battery A, 1st New Jersey Monument. The earlier Parrotts had a “step” in front of the trunnions. This is somewhat in line with traditional gun designs of the time, which called the step the beginning of the “reinforce”. However, this sharp change in diameter probably offered a weak spot in the casting. 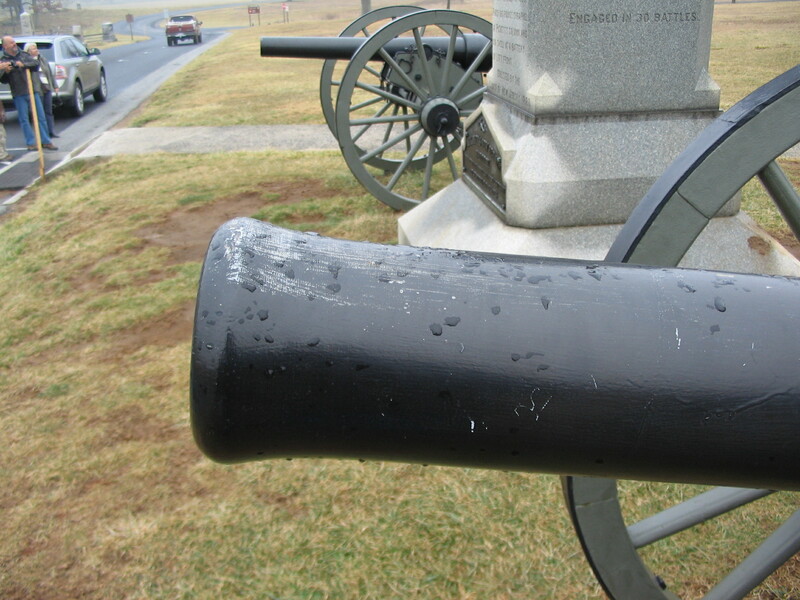 The later 3-inch gun tube conforms with the “ordnance shape” used by nearly all Federal artillery – Nice, even lines. Except the rimbases that is. Speaking of rimbases, on the lower photo take note of the small numbers just behind the threaded socket for the sight post – “149”. For some reason, West Point Foundry placed a duplicate registry number on the rimbases. Sort of a hidden clue for those of us who like to identify the guns today. The stamping on the breech was actually specified in the production order. Clearly we don’t want the gunner getting confused about what projectile is right for his gun. Must be why it’s in big bold letters, near the rear sight socket. 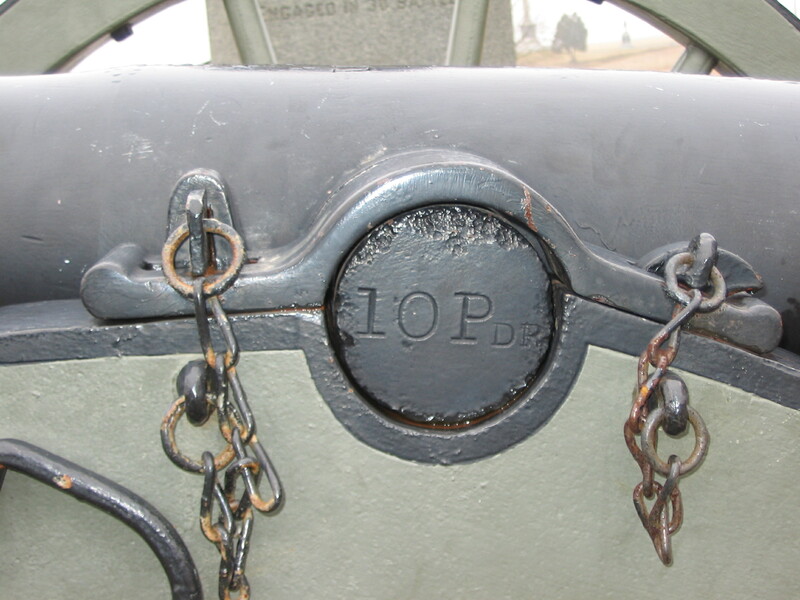 Note the small stamping at the upper back part of the band for the 10-pounder in the upper photo – “Patented 1861”. This is supposed to appear on nearly all Parrotts. Often the wrought iron has corroded with time, but this example’s stampings are rather clear. Once again the caliber is clearly indicated – 2.9 on the older type is replaced by 3 IN on the new version. I have seen some early 10-pounders marked “2.9 inch / 10-pounder” on the muzzle. But it appears once the Ordnance Department specified standardization to the stampings, the “pounder” was left off. 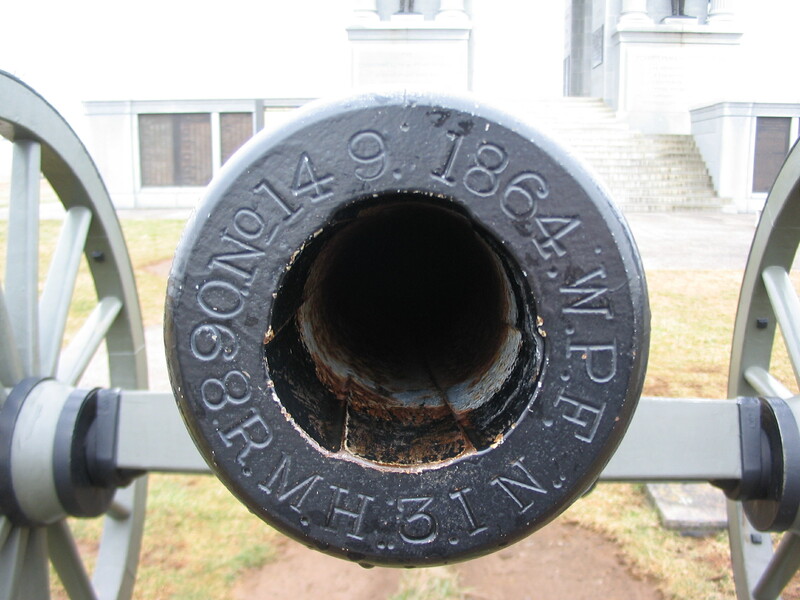 The left trunnion of the 3-inch rifle appears unmarked (or at least the marks have disappeared over time). So enough variations to make the two “models” easily differentiated to a modern day observer. While the change in caliber certainly had some impact on field use, the markings, muzzle swell, and straight lines probably did not. I could speculate and wonder if the smooth lines were somewhat a reaction to criticism about bursting of Parrotts. However, most of the complaints were heard about the “big brother” Parrotts. Those guns did not have the pronounced “step” of the 10-pdr or 20-pdr field guns. West Point Foundry produced 279 3-inch rifles just like these seen here. The last was delivered in September 1865. With budget constraints in the post-war Army, these examples would serve for many years on both the frontier and in eastern garrisons. Hazlett, James C., Edwin Olmstead, and M. Hume Parks. Field Artillery Weapons of the Civil War, Revised Edition. Urbana and Chicago: University of Illinois Press, 2004. Last week, I received a miniture 10 pounder Parrott rifle model as a gift. I noticed that there was a pile of spherical ammunition stacked next to the Parrott rifle as part of the diorama. This seemed odd to me, as I was under the impression that only conical-shaped rifled ammunition was used in this artillery piece. In doing further research, I was unable to find any information as to whether spherical ammunition was ever used in this gun. Thanks for any light you might be able to shed on this! Parrotts fired elongated projectiles. Spherical ammunition did not offer a base (lead or other material) by which the rifling would engage and impart spin. I don’t think any original pattern diagrams exist for the 3inch rifles. The only diagrams I have seen which were attributed to Parrott/his foundry are for 2.9-inch.